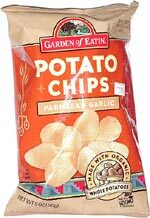 They've got a mild garlic taste, and they've got much less salt than the Garden of Eatin' Original flavor (which happen to be loaded with salt). 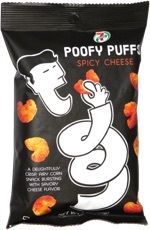 They were a very popular selection around the chip bowl. Yum!